After announcing last month that Philadelphia's long-awaited SEPTA Key pilot program will debut for 10,000 early adopters on June 13, SEPTA General Manager Jeffrey Knueppel told City Council on Tuesday that the "soft launch" will expand to more city residents as 2016 progresses. 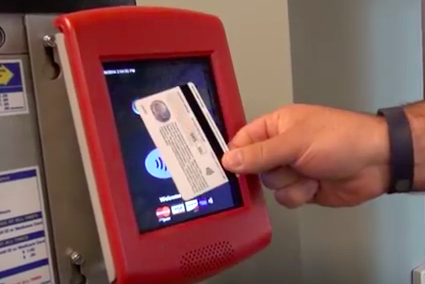 For the initial launch, riders will be able to purchase SEPTA's new contactless fare card at 12 subway stations and the agency's headquarters at 1234 Market St. At the outset, riders will only be able to obtain monthly and weekly transpasses, but the program's reach and services will expand in Philadelphia as the year goes on. "We're going to phase it in," said SEPTA spokesman Andrew Busch. "We'll have to monitor how things go and get feedback from our riders. We don't have any definitive dates, but we will be opening the program up to additional riders and eventually introduce Quick Trip passes for single rides." Busch added that the stored value feature, which will allow riders to use a branded Mastercard to pay fares, is among the features likely to debut after the pilot phase. To start, SEPTA Key will only be available on buses, subways, trolleys, and the Norristown High-Speed Line but SEPTA hopes to get the program up and running on the regional rail system some time in 2017. At this point, SEPTA's willingness to even commit to an expansion before the pilot has begun is a positive sign for Philadelphia residents who frequently use public transportation. Ever since SEPTA Key was conceived in 2011, the contract with Xerox subsidiary ACS Transport Solutions has been subject to technical modifications that have repeatedly delayed implementation. Philadelphia is the last remaining city in the United States to operate its public transportation systems using tokens, which will be phased out along with paper transfers as SEPTA Key expands. Eventually, the $140.6 million initiative will encompass 1,850 onboard fare processors, 350 vending machines, 650 turnstiles, 550 platform validators, 300 parking payment stations, 480 handheld sales devices, 1,200 offsite card purchase locations, and 2,000 card reload locations.